Welcome to WordPress. In this video, we'll take a quick tour of the WordPress Dashboard which provides access to all the site management tools for your website. To access the WordPress Dashboard and begin managing your site's content, click the Log In link on your site's home page, or if your site doesn't have a log in link, you can simply type wp-admin at the end of your website's URL to pull up the log in screen. Enter your username and password, then click the Log In button. The Dashboard is the first screen you'll see when you've successfully logged in to WordPress. Each screen in the administration area contains three sections, a toolbar across the top of the page, the main navigation menu on the left-hand side, and the main work area. 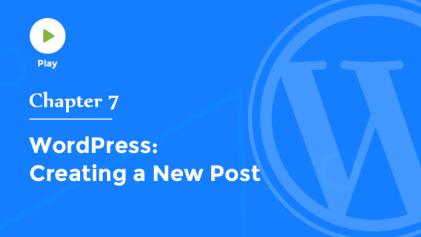 The first time you log in to your WordPress Dashboard, you'll be greeted with a welcome module that contains some links to help you get started, including shortcuts to customize your site's theme, begin creating content for your site, manage widgets or menus, enable comments, or learn more. When you're comfortable with the dashboard, you can dismiss this welcome module. At the top of the Dashboard is the toolbar which contains links to the most commonly used administrative functions including links to find more information about WordPress, view Documentation, and visit the Support Forums if you need help. Hovering over your site's name reveals a link to visit the public view of your site, and when you're logged in, the toolbar remains across the top of your site while you browse enabling you to quickly customize your site or create new content at any time. Hover over the site name again to return to the Dashboard or the other panels in the administration area. The toolbar also displays simple notifications if there are updates available for your site's theme or plugins, or if there are new comments to approve, and you'll find quick links to create a new Post, upload Media files, add a new Page, or create a User. On the right-hand side of the toolbar, you'll find links to Edit your Profile or Log Out. It's a good idea to visit your profile right away and set up your personal preferences. These options allow you to customize WordPress to work best for you. You can even choose from a number of different color schemes for the administration area. If you like, you can enable keyboard shortcuts for moderating comments, and you can choose to hide the toolbar while you're viewing the front end of your site. Be sure to complete your name and contact information, and enter a brief description about yourself. You can also change your profile picture, which will appear next to your name throughout the site. It's always a good idea to generate a strong password to keep your site secure. WordPress will even generate a secure password for you. And speaking of security, if you've logged into your WordPress site from another computer or mobile device, this button will log out any other sessions besides the one you're currently using. To return to the Dashboard at any time, simply click the Dashboard link at the top of the main navigation menu. Just below your username in the toolbar are two hanging tabs, Screen Options and Help. These tabs expand to provide additional options or contextual help specific to whatever page or panel you're currently on. The Screen Options tab allows you to customize your Dashboard, choosing which boxes are displayed in the work area. You can completely hide boxes that you don't plan to use by simply unchecking the box next to each item. And, of course, you can re-enable these at any time. On the left-hand side of the screen is the main navigation menu which contains links to all of the administrative screens in WordPress. Hovering over a menu item displays the sub-menu which contains additional options. If you need more screen space, you can collapse the entire menu into just the strip of icons. When the menu is minimized like this, you can still access the sub-menus by simply hovering over each icon. If you like, you can rearrange the boxes that appear in the main work area. Click anywhere in the title bar of a box, and then drag that box to a new location on the page. Release your mouse button when you see a gray-dotted outline in the location where you want the box to appear. This enables you to completely personalize your Dashboard so that it works best for you. The boxes can also be minimized by clicking anywhere within the title bar itself or by clicking the arrow in the top right corner. Now, let's take a look at the individual boxes on the Dashboard screen.The At a Glance module displays a summary of your site's content and identifies which version of WordPress and theme you're currently using. The Activity module displays your most recent posts, and allows you to moderate comments from your readers by simply hovering your mouse over an individual comment. You can Approve, Reply to, Edit, mark as Spam, or delete a comment directly from this box. 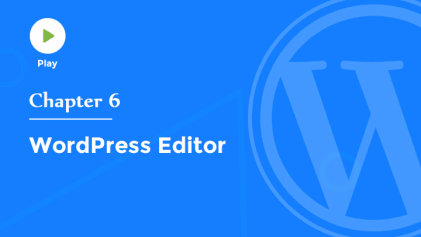 WordPress News contains links to the latest articles from popular WordPress news sites around the web. One of the most helpful tools on the Dashboard is called Quick Draft and it enables you to quickly create a new post and save it as a draft. This is a great way to save ideas for future articles you might wanna come back and finish later. Simply enter a title, add some descriptive content, and then click Save Draft. Your most recent drafts are listed at the bottom of the box enabling you to easily open that post directly in the editor. 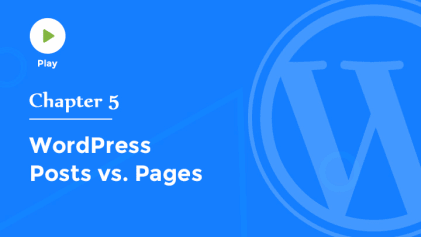 Now that you're familiar with the Dashboard, let's move on to the next video where we'll talk about the two primary forms of content in WordPress, posts and pages.